Imagine 12 miles of uninterrupted coastline along the shores of the mighty Atlantic Ocean. Imagine a place where the salty breezes blow 356 days a year and beautiful pink sunsets are the norm. Imagine a place where every resident on the beach knows to turn the lights down at night to protect our beloved sea turtles. This is our home….and it can be yours. Ranked by Travel & Leisure as the #1 Island in the U.S. and #2 in the World, Hilton Head Island is a beloved resort town which defines waterfont living. Residents and visitors alike enjoy lazy days on the beaches, bicycling along the shores, kayaking, stand up paddleboarding, fishing, sailing, dolphin cruising, and observing the best of nature playing in the gentle salt marshes. Oceanfront homes, villas, condos and homesites offer unobstructed views of the Atlantic. Oceanfront property is simply that, direct oceanfront with outstanding views. 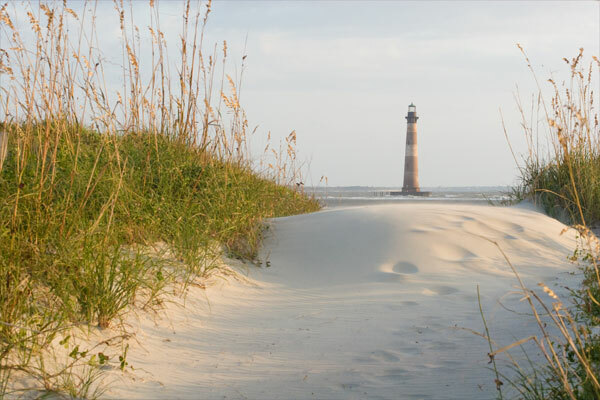 Most of the oceanfront property can be found in communities such as Sea Pines, Port Royal, Palmetto Dunes, Forest Beach and Folly Field Beach. Other communities with direct waterfront views to the Intracoastal or Port Royal Sound are Wexford, Long Cove, Hilton Head Plantation, Spanish Wells, Indigo Run, and Windmill Harbour. Just across the bridge over the Intracoastal is Bluffton, a dynamic town which is hugged by 3 rivers- the May River, the Colleton River, and the Okatie River. Some of the most unforgettable landscapes in the Lowcountry are found here and riverfront property is in high demand. Bluffton provides unspoiled coastline, salt marsh estuary and pristine river systems, which gives its waterfront address a variety of desirable options. If you’re looking for the best communities with the best views in Bluffton, begin your search in Palmetto Bluff, Colleton River, Belfair, Rose Hill, Pinckney Colony, Berkeley Hall, Oldfield, Callawassie Island and Spring Island. Of course, properties in the Old Town Bluffton area, many of them historical plantations, along the May River provide stunning deep water and marsh views.